Do you love a good Twitter Party? You know I do and I’m excited to co-host a party about creating playdates that combine learning and fun! On Thursday, May 29th, at 11:00am EST, please join us for the #UltimatePlaydate Twitter Party, where we’ll be discussing how playdates can be opportunities to develop motor and social skills while encouraging independence, AND of course, giving you a chance to win prizes! As someone who has enjoyed sharing fun learning activities with her readers, it's no secret how much I love watching my children experience learning through creative and imaginative play. Our 7 year old twins' idea of the ideal playdate would be berry-flavored Juicy Juice Fun Size juice boxes served with string cheese for a snack plus an assortment of Crayola markers and an endless supply of drawing paper. Throw in a roll of tape and watch where their imaginations take them! What do you do to spark your children's imaginations? 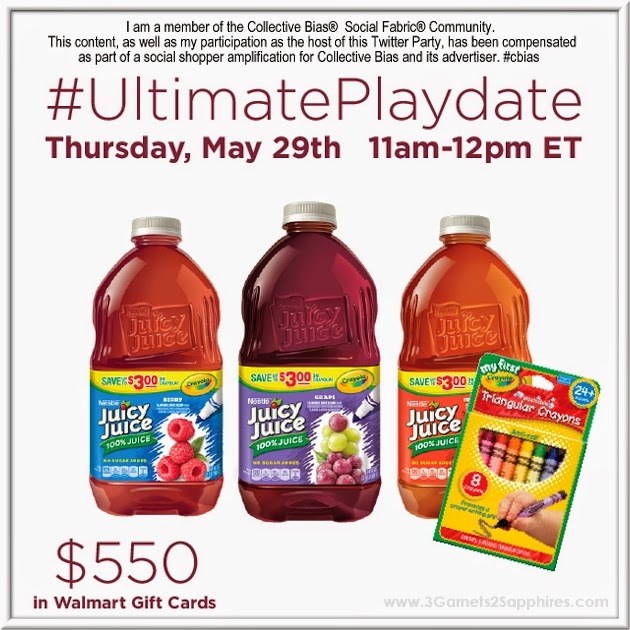 Join me at the #UltimatePlaydate Twitter Party and tell me all about it! Specially marked packages of Juicy Juice products from April through September will deliver up to $3 off coupons savings on Crayola products such as Color Wonder and My First Crayola. There will also be $1 off Juicy Juice Instant Redeemable Coupons applied to special Crayola Color Wonder and My First Crayola products. 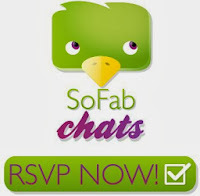 Join me and RSVP for the #UltimatePlaydate on SoFabChats!